possessions, but reduced our values. W e talk too much, love too seldom, and hate too often. computers to hold more information, to produce more copies than ever, but we communicate less and less. These are the times of fast foods and slow digestion, big men and small character, steep profits and shallow relationships. These are the days of two incomes but more divorce, fancier houses, but broken homes. These are days of quick trips, disposable diapers, throwaway morality, one nights stands, overweight bodies, and pills that do everything from cheer, to quiet, to kill. It is a time when there is much in the showroom window and nothing in the stockroom. A time when technology can bring this letter to you, and a time when you can choose either to share this insight, or to just hit delete. Remember, say a kind word to someone who looks up to you in awe,because that little person soon will grow up and leave your side. Remember, to say, “I love you” to your spouse and your loved ones, but most of all mean it. A kiss and an embrace will mend hurt when it comes from deep inside of you. Remember to hold hands and cherish the moment for someday that person will not be there again. Give time to love, give time to speak, and give time to share the precious thoughts in your mind. If you’re like me, much of this will have resonated. We spend so much of our time chasing ou r tails and not communicating meaningfully with those we love. I am as guilty as the next person. I’m a SAHM with a complex. I often feel guilty for spending time on my writing while my husband is out there at the cutting edge of profit and loss as he tries to earn a living for the whole family. I’m always bemoaning that I don’t get enough time for my writing, but any amount of time never seems enough! And it’s been years now and still no novel on the bookshelf! The truth is, I am not a patient person and writing is the ultimate game of patience. I have just finished Anthony Doerr’s fabulous novel ‘ All The Light We Cannot See’ and it took him ten years to write! In that case I’ve hardly scratched the surface. It’s all too easy to get so fixated on your end goal that you forget to enjoy the journey. I am still young(ish), I have two gorgeous boys who are growing up far too fast; these are the days of my life, these are the days I will want to live again. It was great to hear the lovely @DinahJefferies on BBC Woman’s Hour this week talking about becoming a bestselling novelist in her sixties. It was a reminder there is no sell-by-date with writing. It’s about perseverance and the only person putting time limits on it is myself. 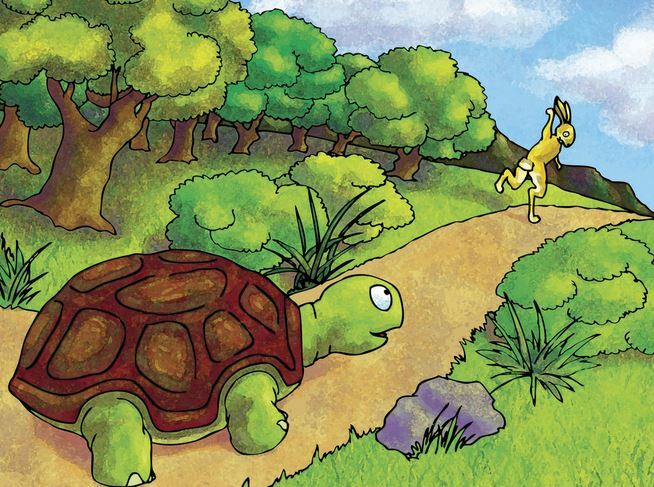 Note to self; remember who won the race between the tortoise and the hare. The Story of Before, by Susan Stairs. I was tweeting like mad about this a couple of weeks ago. Its a debut book that blew me away and left me rattled for days afterwards. This month in book club we’re reading ‘Elizabeth is Missing’ by Emma Healey. I haven’t finished it yet, but if it makes it onto my list I’ll let you know.